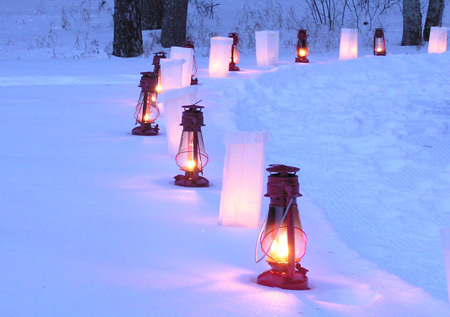 Visit Itasca and ski or snowshoe by the light of the moon and kerosene lanterns along the trail. Go at your own pace along the lantern lit route during this drop-in program. For added fun, bring along your s'mores fixings or hot dogs for cooking at the campfire. NOTES: Limited snowshoes will be available on a first come-first served basis. Program is held outdoors. Dress warmly for outdoor winter conditions. If snow conditions are poor, the event will become a snow boot walk. Saturday, January 12, 2019 from 5-7:30 p.m.